I think there is one thing that all moms of all ages all have in common. 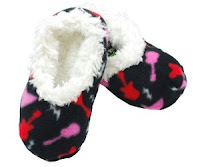 We all love soft and snugly things that keep our toes cozy and warm. 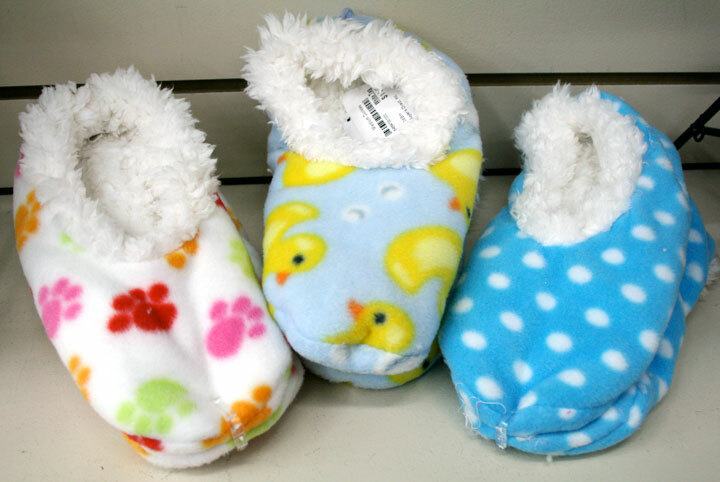 And when it comes to getting cozy toes, there is no better way to accomplish that than with a pair of Snoozies. If you are wondering what Snoozies are, you are already missing out. They are more than a slipper and more than a sock. They are a combination that is perfect for long nights and lazy mornings of lounging around the house. I was lucky enough to receive a pair of Snoozies to review, and I am in love with them. I don't ever want to take them off. They are made of the softest fleece material that just seems to mold to your feet. They are thick and warm like socks, but they have a nice grip on the bottom so you won't slip when you're walking in them. The ones I received are blue with peace signs with is perfect for my personal style. The stretchy material provides the perfect fit every time. They are everything you would want in a foot covering. Snoozies come in a wide range of styles and colors, so you are sure to find just what you are looking for. For Mother's day, they even have special mom and grand mom designs. They also have a full line for kids and tweens. If you are looking for a gift for someone this Mother's Day, they would make a great choice. And let me tell you, as a expectant mother, I would be thrilled to get a pair of these at a baby shower. They are perfect for those days in the hospital after the delivery. In honor of Mother's Day, one lucky winner will receive a pair of Snoozies in the size of your choice (company will choose the pattern). To enter, please visit Snoozies and tell me which pair are your favorites. For additional entries, you can do any of the following, but you must complete this initial entry first. Any entries that do not follow these guidelines will be deleted. This giveaway will end at midnight on 4/24/11 and is open to the continental US & Canada only. The winner will be chosen via a random number generator. Thanks again to Snoozies for offering this great prize! How wonderful your feet would feel. Great contest! These look SO comfy. I want them! I like the super plush ones! And the mom one. I follow on Network blog. I love the Modern Daisies pattern. I found Snoozies by chance at my Hallmark store and I absolutely love them. I'm definitely going to get more. I'm following Snoozies and Laura DeLuca on Facebook. I love the bubble dot! I like the 409N dog paws! I like the bubble dot. I like the bubble dot pattern. I like the hibiscus ones! I am a facebook friend of yours! I love the purple I heart mom snoozie!